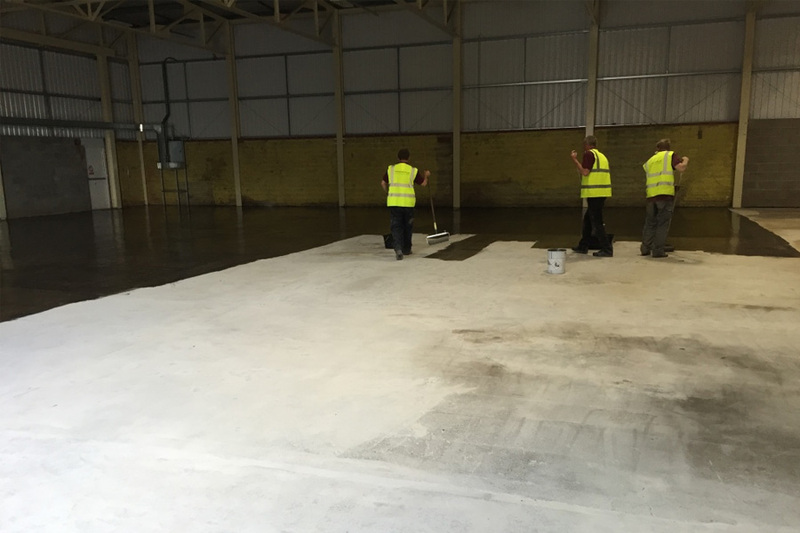 A healthcare supplier engaged Beaver Floorcare to prepare the old concrete floor slab and coat using epoxy floor paint. 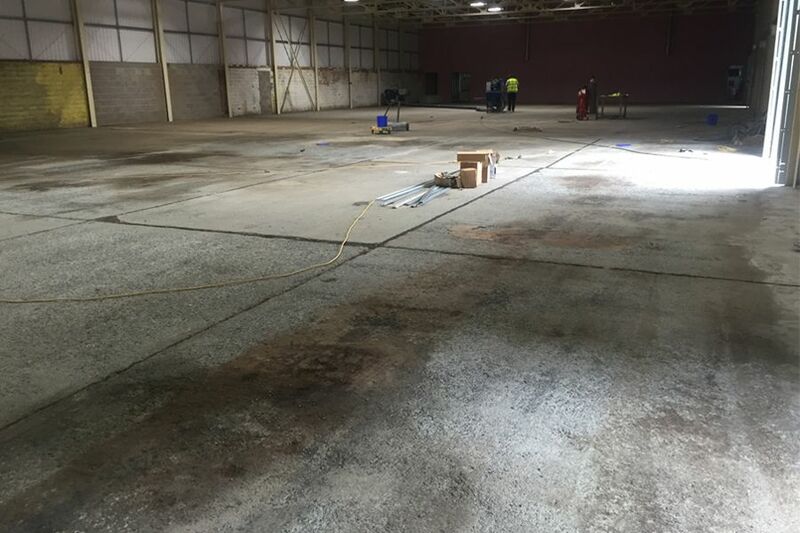 The 1100m2 floor space was looking in a very sorry state and required some intensive preparation before any floor painting could take place. There were in excess of 200 bolts that require cutting off before the surface could be shot blasted. After the shot blasting had taken place, there we many areas that had perished and required patch repair, these areas were filled before grinding flat with diamond abrasives. After a full sweep and vacuum the area was prepared for priming, many areas had oil patches, these areas were primed twice to prevent oil migration. After the priming was complete, it was lightly keyed and ready for epoxy floor painting. We specified Remmers BS 3000 on this particular project. 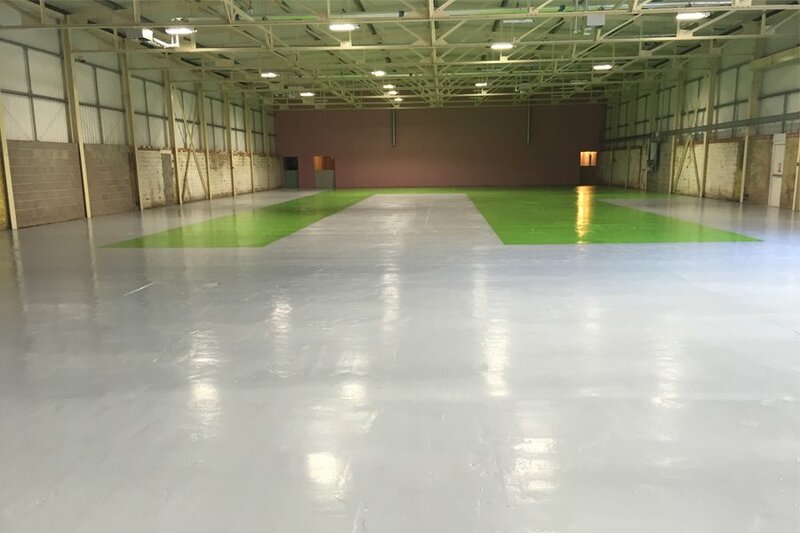 The areas we clearly marked out and the Grey RAL 7001 was the first colour to be applied, this was followed by the other areas in Green RAL6017 which created a great contract in areas for foot traffic and forklifts. After the epoxy floor paint had cured, a single coat of Dr Schutz PU Sealer was applied, this prevents scuffing and marking of the epoxy which ensures the surface is much easier to clean and maintain. If you would like a quotation on preparation and epoxy floor coating, contact us for our competitive rates.